Anubhav Sinha's films have traditionally boasted of a melodious soundtrack. Right from his debut directorial outing Tum Bin to intermittent biggies like Ra.One and Dus to his last release Tum Bin 2, there have been quite a few beautiful songs that have graced the soundtrack of his films. However, Mulk is a different kind of a film and its inherent dramatic content means the music can at best turn out to be situational. There are only three songs in Mulk and each one of it is written by Shakeel Azmi. 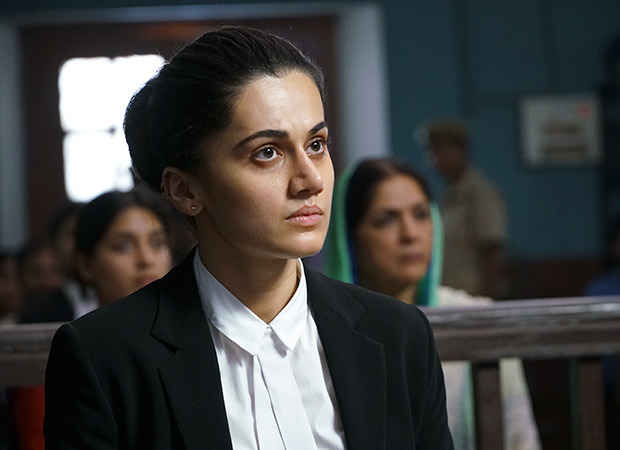 First to arrive is a situational number 'Thenge Se' which is picturised on Taapsee Pannu and arrives right at the beginning of the film when she arrives at her in-laws place. Newcomer Prasad Sashte composes this traditional number which faintly reminds one of 'Kajra Mohabbat Waala' [Kismat] at least in the initial portions. Nonetheless, the song makes for a good hear and its hookline of 'Thenge Se' is pretty catchy as well. Sunidhi Chauhan leads the show with her exuberant self and Suvarna Tiwari along with Swanand Kirkire chip in well too. Next to arrive is 'Khudara' which has Vishal Dadlani leading the charge as a singer. A sad song where the protagonist is finding himself in a near impossible situation and that too from a point of no return, 'Khudara' has a haunting feel to it that does add on well to the film's proceedings. Arriving at that situation in the film where the family of the character played by Rishi Kapoor finds itself amidst charges of terrorism, 'Khudara' makes for a decent hear, though strictly in the context of the film. Anurag Saikia composes 'Piya Samaye', a semi-classical track with a 'qawalli' base to it. Shafqat Amanat Ali and Arshad Hussain come together for this number which makes for a rather pleasant hear. Yet again, this one is a situational piece too, though one does feel that had this one been promoted earlier on, it may just have managed to cover some sort of distance at least before the film arrived on the big screen. 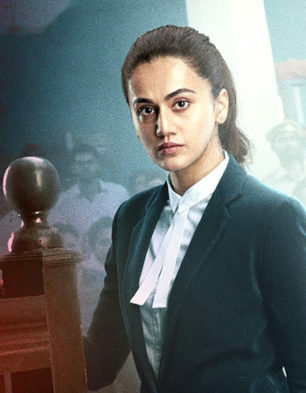 Since Mulk is not the kind of film which required music to be its selling point, what one gets to hear is also something which is strictly functional.